With captains and buccaneers like Sir Francis Drake or Admiral Nelson, the Britons have conquered whole empires; Great Britain is also considered to be the motherland of yachting: Even the German Emperor Wilhelm II sailed races here against the British aristocracy with divers sailing yachts, which he always baptized “Meteor”, in the beginning of the 20th century, when yachting was still referred to as “Gentlemen’s Sailing”. The ones standing next to the great canons, going off on the Isle of Wright, as is still tradition in the elite club Royal Yacht Suadron to mark the beginning of a regatta, feel very much in touch with yachting history. In international regatta fields or during spectacular record attempts, the United Kingdom is still on top. As a charter beat however it plays an insignificant role. But the English delight in visitors, in many little harbours yellow mooring buoys have been installed and the local yacht clubs are usually welcoming too. Especially the Solent and the southwest coast of Cornwell with its scenic island world reaching all the way to the Isles of Scilly are the most popular sailing waters among the Britons. Charter sailors should know the ropes of tidal navigation here in the Atlantic, the English Channel and the Celtic Sea – knowledge of the Admiral Tide Tables and trip planning according to low and high tide is mandatory. There is a large charter base in the modern Port Solent. Not far from Port Solent lies Beaulieu: In April, the “Beaulieu Boat Jumble” enjoys his reputation as the biggest boat jumble in the world – mooring is possible on bollards in the river. Popular sailing harbours: Chichester Harbour, near Plymouth well protected during calm waters, and Lymington. The large marinas of the south and southwest coast are in Southampton (Ocean Marina Village), Plymouth or Torquay in Devon. Together Devon and Cornwall cover 217 miles of coastal line. Cornwall entices with the offshore island world of the Scillys and scenic beauty. Hundreds of beaches, elegant spas and historic fishing villages want to be explored. In Falmouth the oyster harvesting fleet even still operates under sails. Thanks to the Gulf Stream, the Isles of Scilly with over 50 isles are something of an English South Sea – with seas of flowers in springtime and partly semitropical vegetation. St. Mary’s is rather well developed as a tourist resort, worth seeing are the “Abbey Gardens” on the island of Tresco. Island hopping is also doable on the British east coast, namely the Channel Islands – however you shouldn’t be deterred by tidal amplitude of up to 40 feet. Brittany is usually the point of departure since these islands indeed belong to Great Britain but are geographically situated near France. Here, French charm and Old England lie very close to one another. The islands – Jersey and Guernsey are best known, Alderney, Herm and Sark aren’t common to everyone – altogether cover about 125 square miles. You can communicate in English and French with the about 140.000 island inhabitants, the climate is mild, the vegetation semitropical. Bays, long sandy beaches and lots of greenery await the sailor on Jersey, the largest island – also nightlife and picturesque lanes in the lively town of St. Helen. 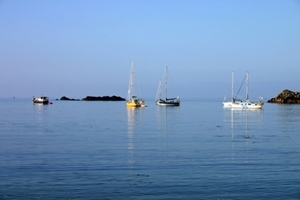 The harbour of St. Peter on Guernsey, where life is more quite, is a centre of attraction for many sailors. Sark is deemed to be an independent state – by the way all islands have their own currency, which is linked to the British pound. People in search of rougher climates, should plan a trip in Scotland – there have been “Whiskey-flotillas” following the trails of the famous whiskey distilleries. You’ll get the chance for island hopping and whiskey off the Scottish north coast on the Hebrides. It is possible to charter on the Isle of Skye: the islands Rum and Mull with the little harbour town of Tobermory or Oban on the main land could make trip destinations, but also the Outer Hebrides with the islands Harras, Lewis, Barra and Uist. The British south coast is also very suitable for families, the North rather more for experienced crews. The price level is rather high – but in contrast to former times when the English cuisine consisted of half boiled vegetables and overcooked meat, the culinary choice nowadays is divers and often excellent. Even in small pubs you’ll get great food! 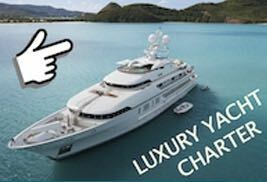 We are happy to provide you with charter offers on request!